Work culture at Scientific is conducive and full of opportunities for ambitious individuals. Open door policy promotes a free flow of ideas, opinions, information and expertise keeping the work environment transparent. Team building activities and forums ensure an interactive and relaxed workplace. Scientific welcomes hardworking and focused individuals promising them freedom to experiment and innovate. 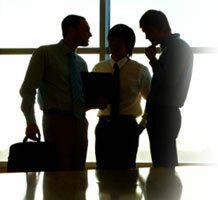 We assure you an all-round development and a lasting relationship. Your talents will be recognized and rewarded. BE / B.Tech / EC / EI (Power Electronics) having 4-5 years experience in designing, testing / servicing SMPS for electronic products. Sound knowledge of basics of designing and trouble shooting required. BE/ B.Tech (Electronics/Electrical) with at least 3-4 years experience in sales and marketing of Professional Electrical/ Electronic products. BE/ B.Tech (Electronics) with at least 2-3 years experience in testing of Electronic products. To lead and manage field sales engineers. Good communication skills essential. MIn 4-5 years experience in similar position. Will be responsible for all pre sales functions and support to sales team, , should have good communication skills.